Late bloomer. 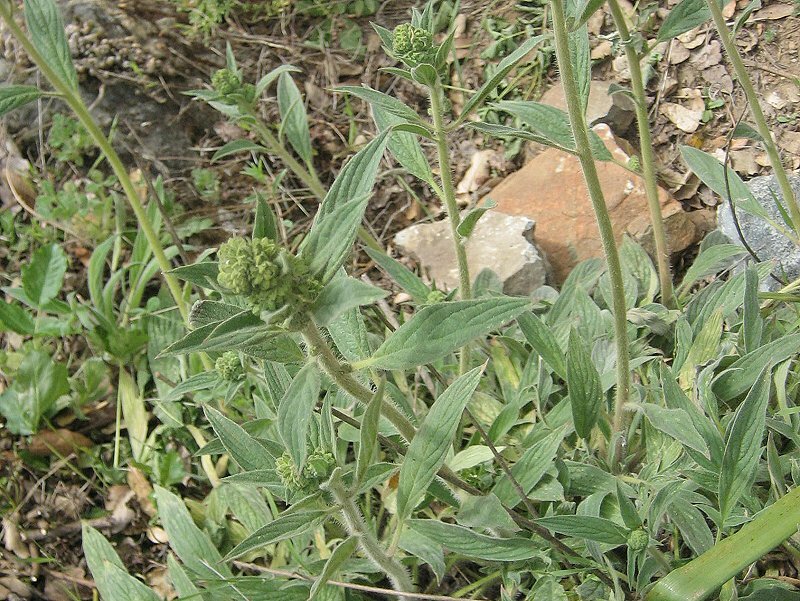 Five greenish-white petals, many flowers in a coil on a tall, stout stem; biennial plant. Notes: These look more like a caterpillar than the Caterpillar Phacelia (compare photo here with that in 110_1116). Vari-leaf Phacelia has elliptical leaves while Caterpillar Phacelia has oblong to lance-like leaflets with toothed margins. 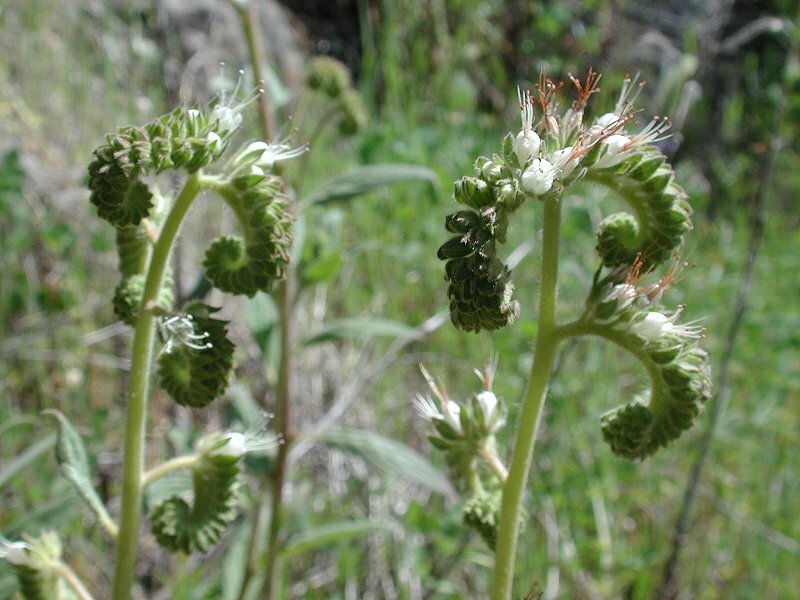 The flower has a distinctive, coiled, wormlike look with small white flowers on the worm’s back.